This American Diner flush bathroom ceiling light with acid ribbed glass shade and rated IP44 looks beautiful wherever it’s installed. The etched glass provides a clean lighting effects, which are perfect for your bathroom or kitchen and the matching metal trim completes the look. Also suitable for any room in the house with a low ceiling. 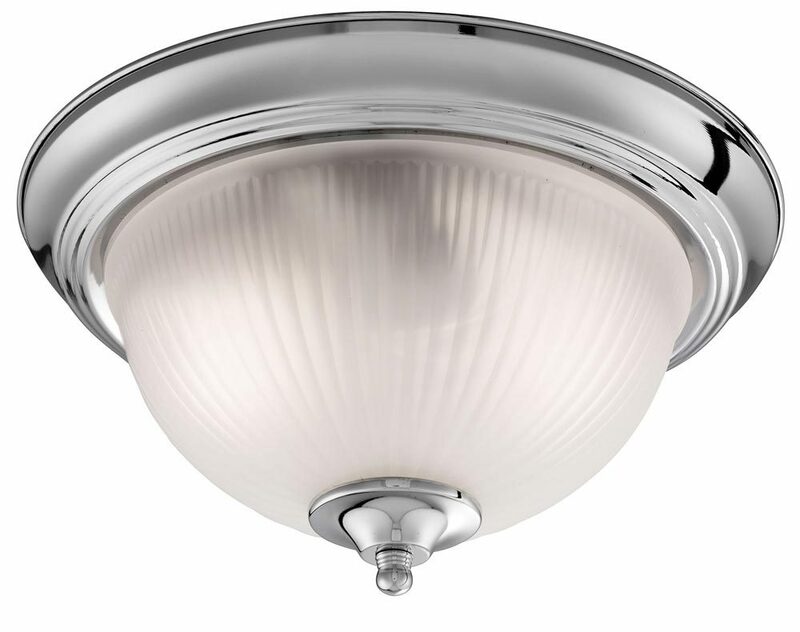 A flush fitting polished chrome satin chrome finish bathroom ceiling light, with a ribbed acid glass shade. Rated IP44 and suitable for bathroom zones 1 and 2. We recommend using two 7w LED candle lamps. Supplied by Searchlight who manufacture some of the best traditional and modern classic designs such as the American Diner flush bathroom ceiling light with acid ribbed glass shade and rated IP44 you see here.